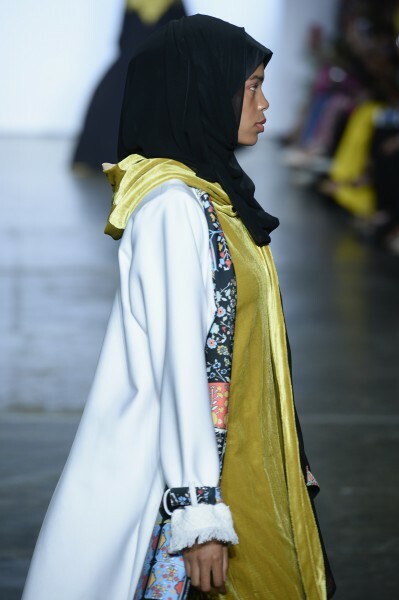 Three labels – VIVI ZUBEDI, Coreta Louise and Suedeson – featured in an Indonesian Diversity collective show at New York Fashion Week. 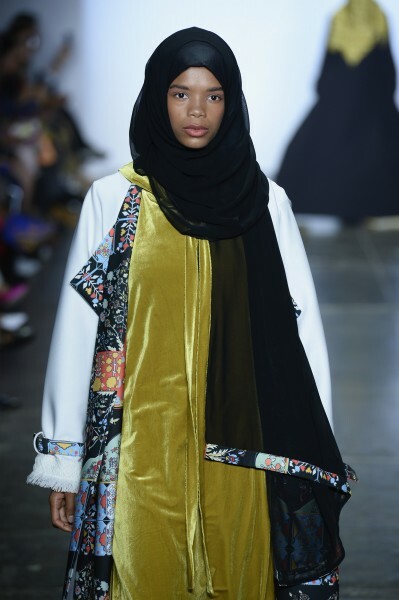 They injected their collections with patterns and vibrant colors, and it was a pleasure to view and learn about what fashions may appeal to a different demographic. 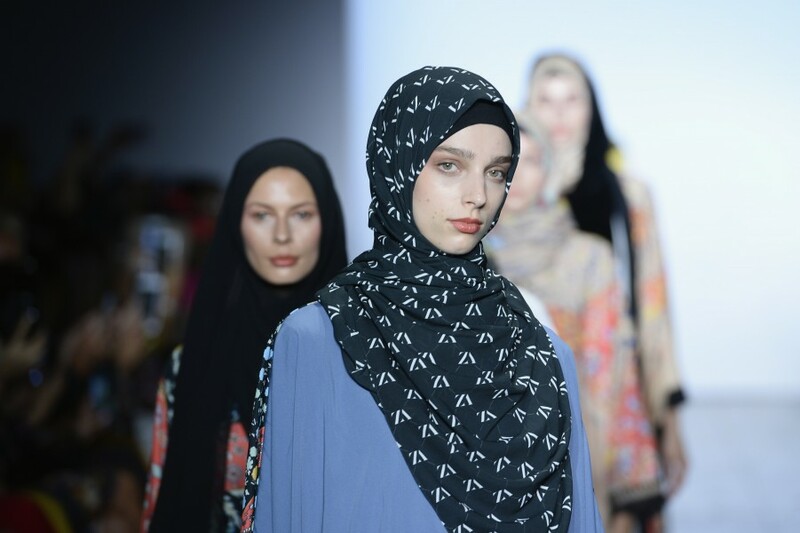 More than 80 percent of Indonesia is Islamic as recognized by the government and the country has the largest Muslim population in the world. 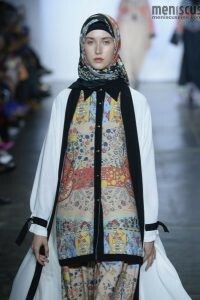 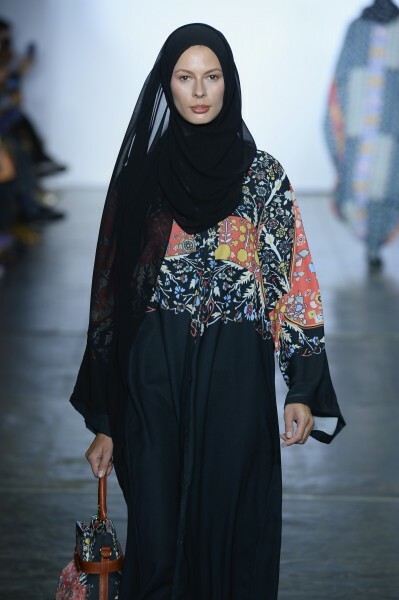 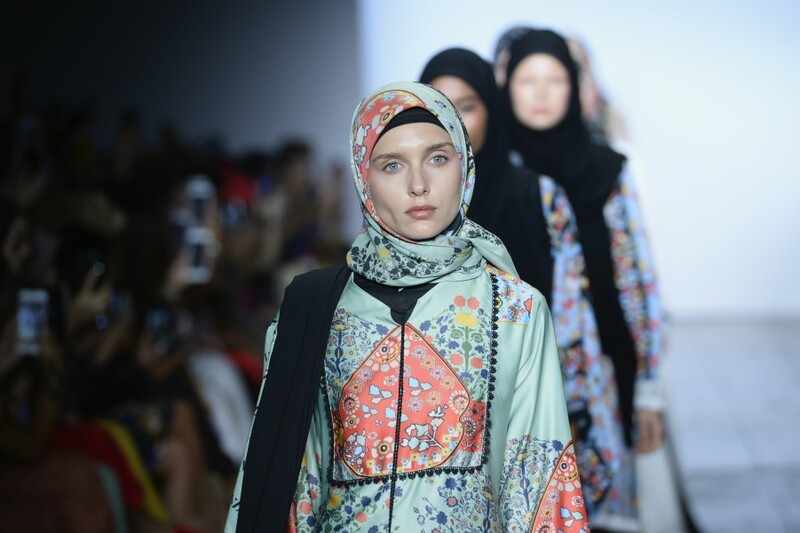 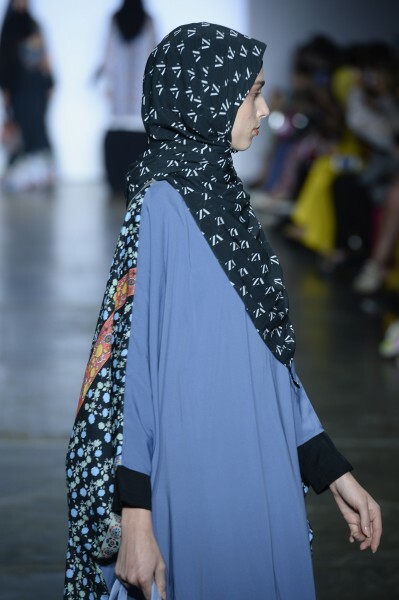 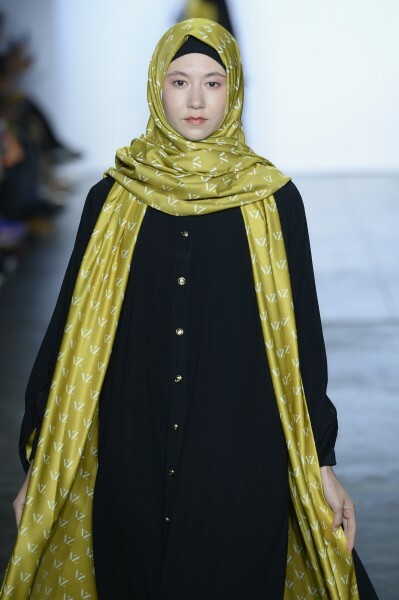 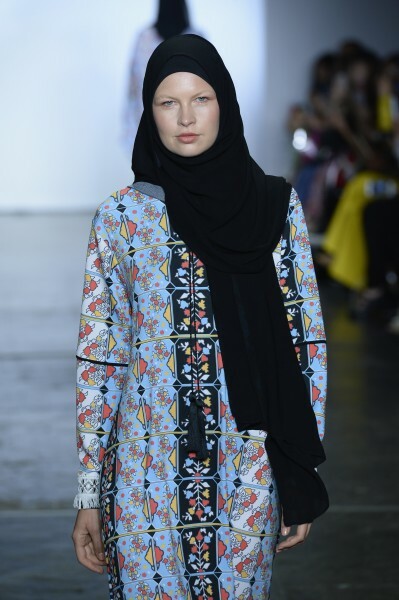 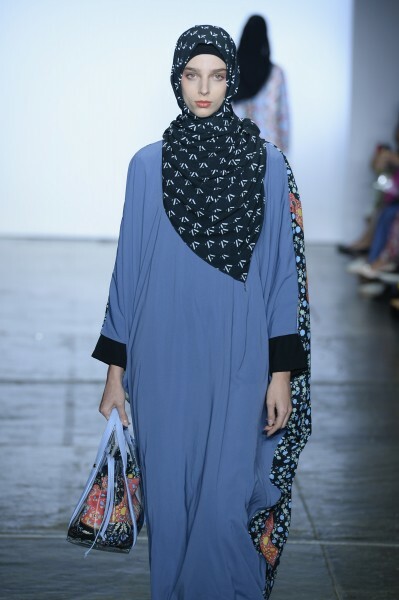 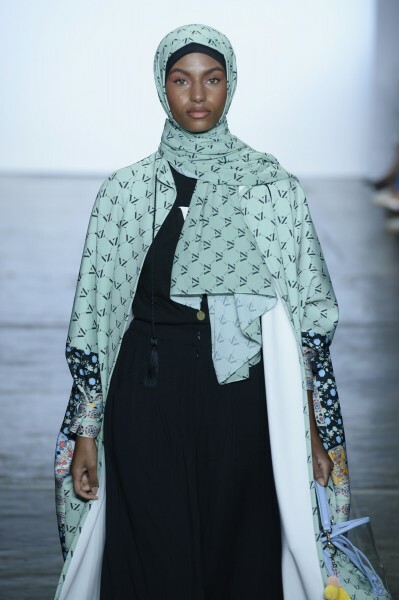 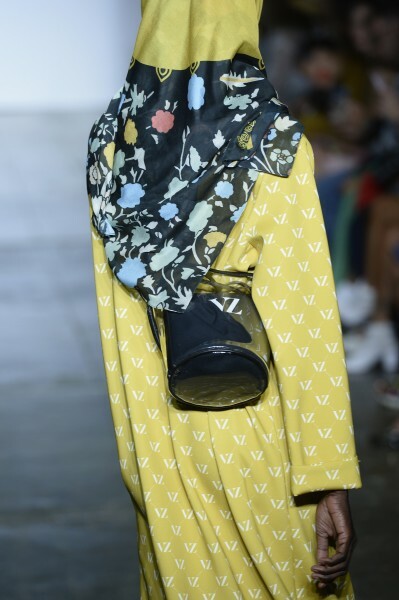 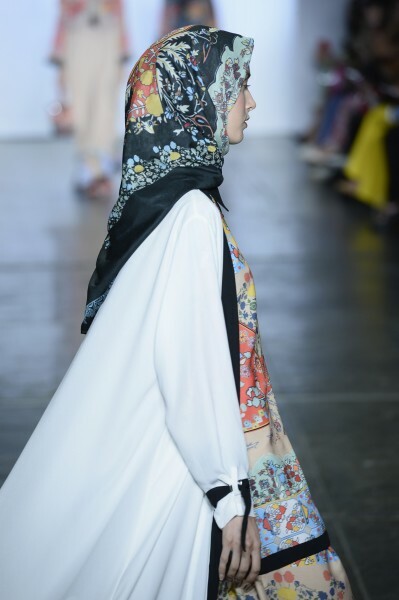 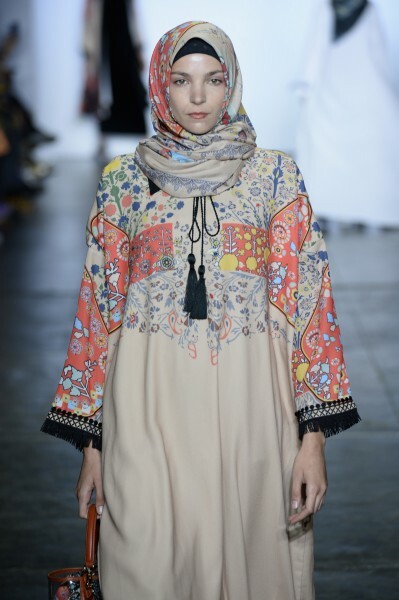 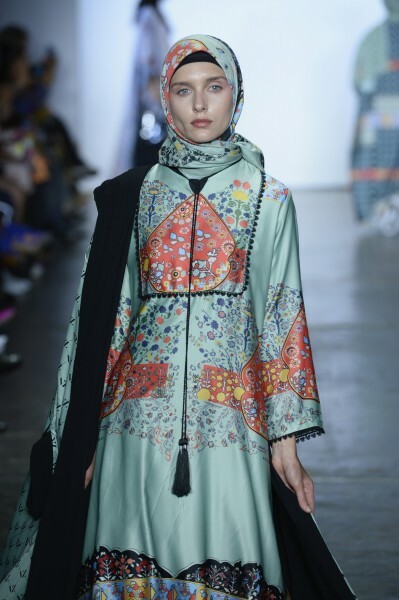 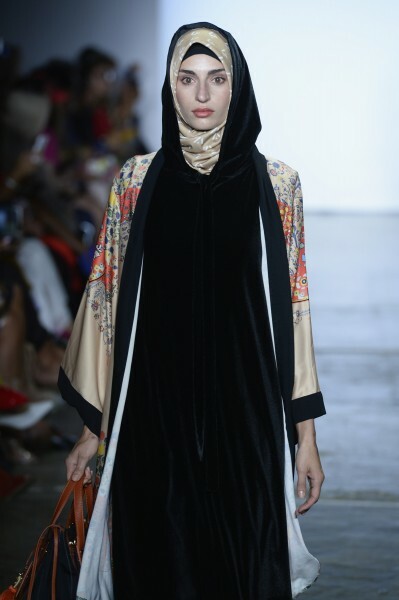 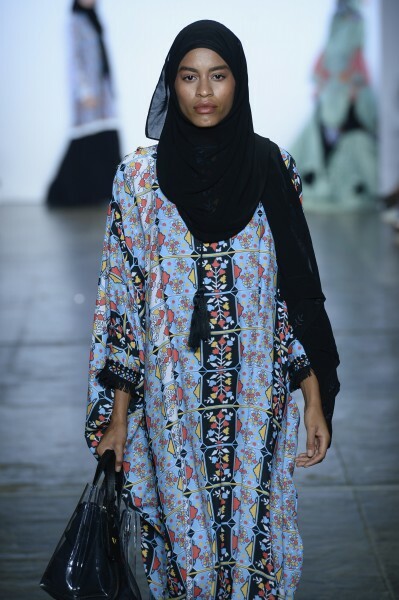 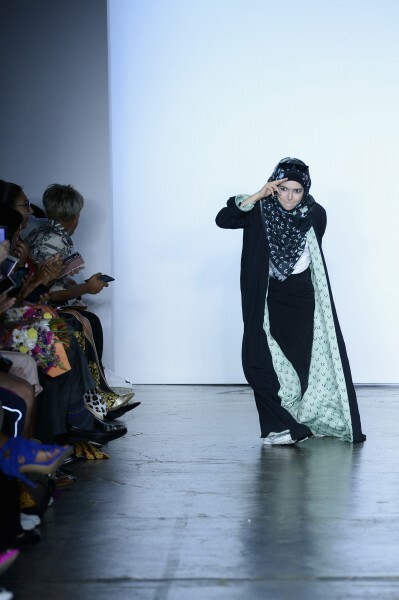 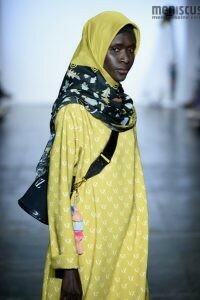 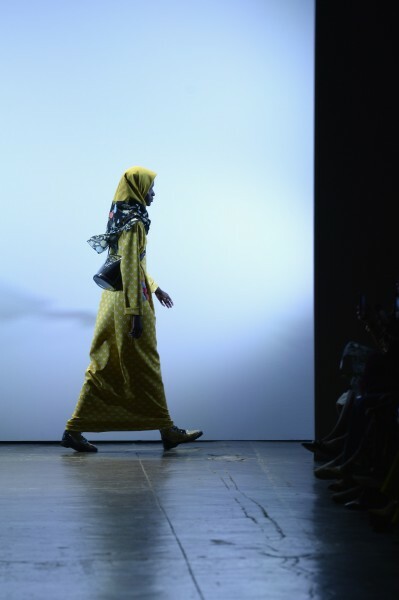 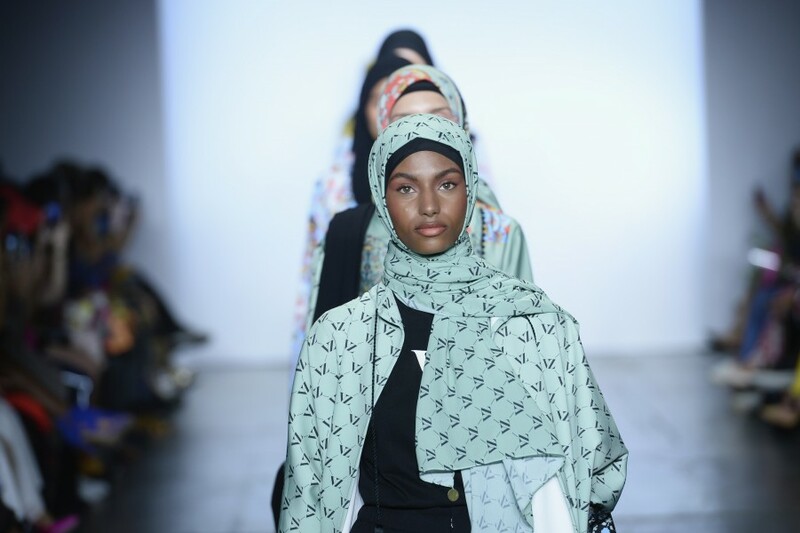 Appealing to this demographic, Vivi Zubedi sprinkled her print-friendly Spring 2019 collection with the hijab, a head covering composed of a long scarf wrapped around the neck, along with coordinating abayat, long-sleeved garments resembling robes. 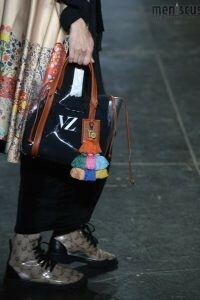 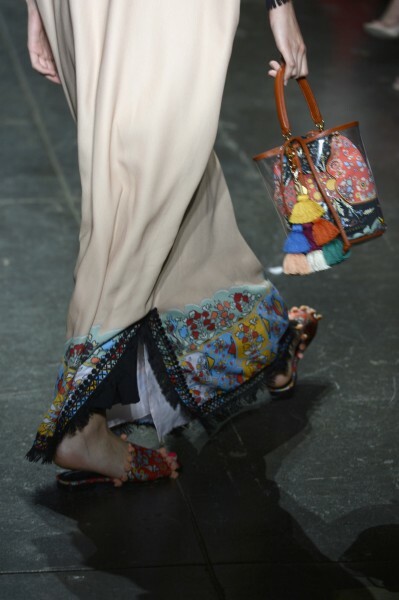 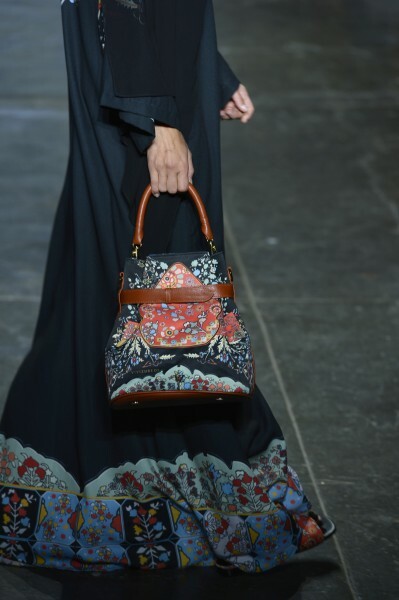 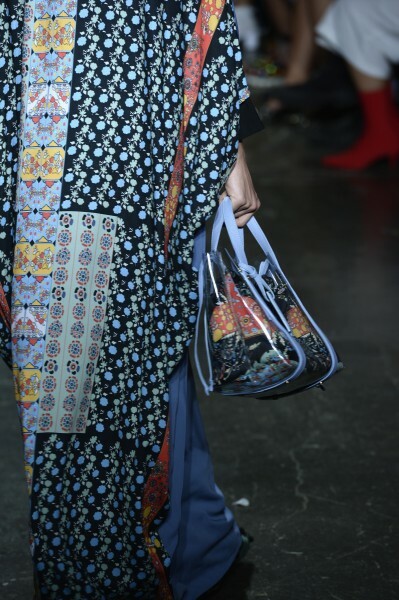 The designer’s initials were playfully printed on the hijab and a few of her bags. Seafoam green, cornflower blue, and tomato red were dominant colors throughout the collection, and accented a variety of abayat with coordinating bags and shoes.